James Milner was in typically fine form on social media after Saturday’s win over Tottenham as he became the subject of a sincere apology from Gary Lineker. The Match of the Day presenter lavished the midfielder with praise after his stunning performance, having admitted to doubting his value on the football pitch in the past. Milner continued his outstanding start to the season with yet another dominant all-action performance in Jurgen Klopp’s midfield three. 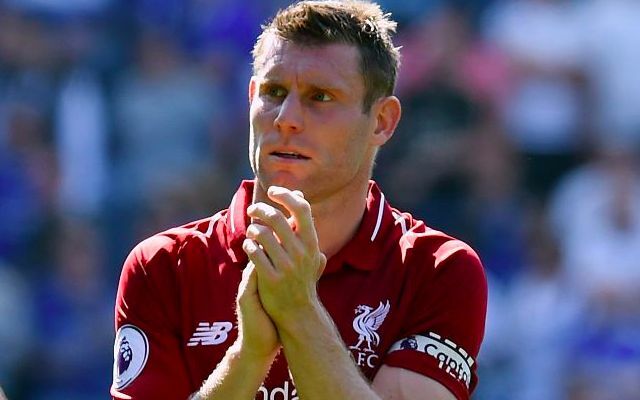 Even on the back of his superb 2017/2018 campaign, Milner rarely featured in prospective starting lineups for the new season over the summer. Instead of new signings Naby Keita and Fabinho asserting themselves as undisputed first choice – as many had expected – it’s been the 32-year-old that has emerged as frontrunner to retain his starting spot each week. Milner starred as Klopp’s men out-manouvred and out-fought Spurs to make it five wins from five and maintain their unbeaten start to the Premier League season. Liverpool’s vice-captain set the tone in familiar fashion as a leader of his side’s high press and a thorn in Tottenham’s own attacking ambitions across the width of the pitch. The extent of his lasting impression was epitomised by one look at captain Jordan Henderson sitting on the bench, awaiting his chance to impress. He is proving to be an integral figure in what is beginning to shape up as a formidable Liverpool spine.